Home > News > Brexit is almost here. Or is it? 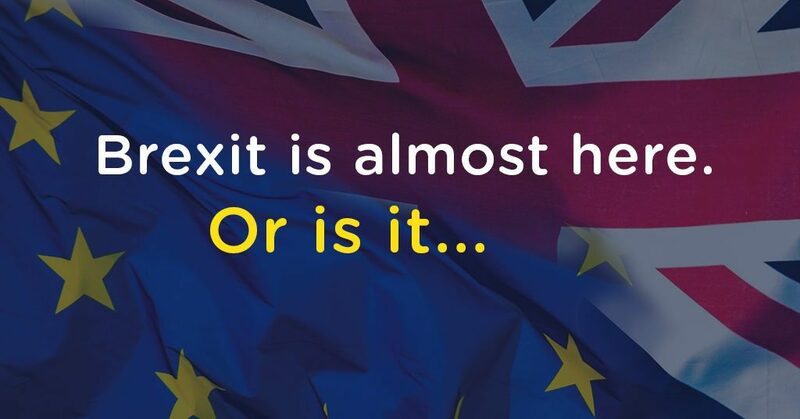 With ambiguity surrounding what Brexit entails and how it will affect businesses moving forward, preparing for what lies ahead is challenging. Regardless of industry, it’s safe to say that Brexit will have an impact either by creating challenges, or in some instances, providing opportunities. It’s important you start to think ahead to changes you may need to implement within your business strategy and how your objectives may have to be altered to suit – whatever the scenario. More than likely, you’ve already done this, so it’s important to investigate how your travel policy fits in to the mix. Where is your travel management company located? Do they have enough coverage in the UK, EU and further afield? Ensure your travel management company has the right connections and partnerships to handle any changes that you may need to introduce regarding your travel. Given the inherent need for a travel management company to transfer personal information to destinations within the EU and beyond, it’s worth making sure your travel management company has created data processing and information agreements between yourselves and suppliers that are compliant for the UK and EU. In the quest for new markets and business, we believe we may see an upturn in demand for long haul travel as companies start to look further afield. Of course, we could see EU travel remaining the same or even increasing in some instances. By including your travel management company in the conversation around the direction of your business, they can focus on matching travel solutions to deliver the best possible value. Our team of award-winning Account Managers are on hand to discuss any of the issues relating to Brexit with you. As business travel experts with a network of strong global partnerships, we’ll help to keep your business moving.